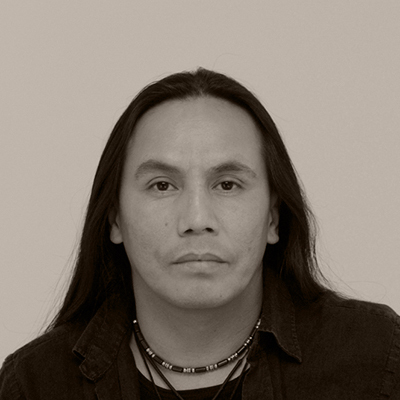 Gerald Auger is an actor, filmmaker and motivational speaker from the Bigstone Cree Nation in Alberta. An appearance in the opening ceremonies of the 1995 Canada Winter Game would lead to a role in Il Mio West (1998), a spaghetti western starring David Bowie and Harvey Keitel. Since then he’s amassed numerous acting credits, including roles in TV shows like Hell on Wheels and Into the West. Directing credits include Walking Alone and Honour Thy Father, a personal meditation on Woodland Cree spirituality. He operates Black Eagle Entertainment and counsels youth through Calgary’s Impact Society where he’s Director of Indigenous Leadership & Development.